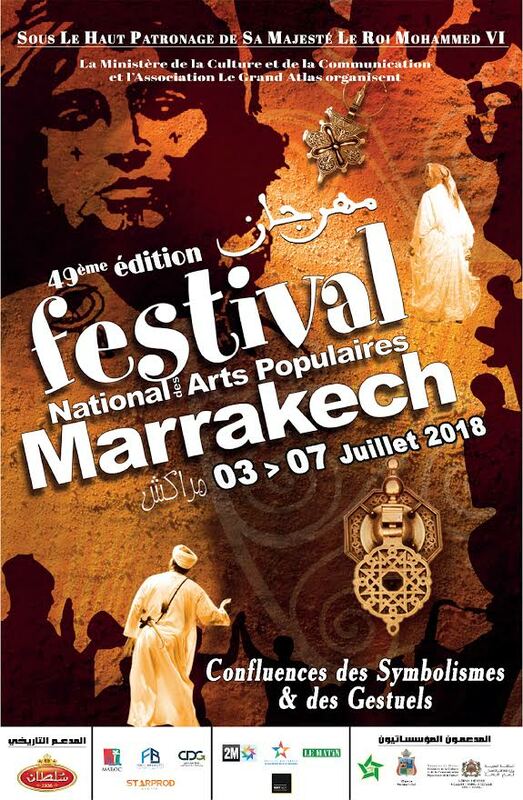 The National Festival of Popular Arts (FNAP) returns from July 3 to 7 in Marrakech and signs its 49th edition around the “Confluence of symbolism and gestures: to enhance and preserve the National Cultural Heritage”. Magic and dreams, is what the National Festival of Popular Arts (FNAP) is promising from July 3 to 7 in Marrakech. In the heart of the prestigious El Badiâ palace, the FNAP welcomes, every evening from 9pm, its troops who will present such different paintings as unis. Diversity is so fusional with the image of regions of Morocco, as put forward, in a statement, by the Association the Large Atlas which organizes this event with the ministry of Culture and Communication. 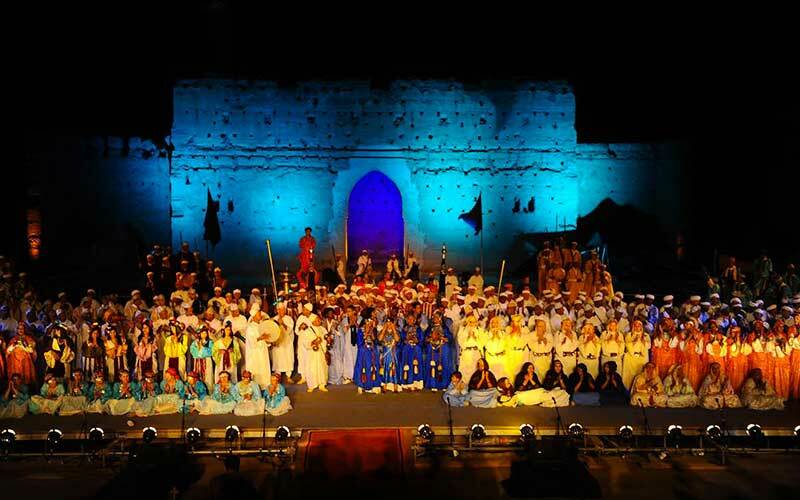 The ascending percussions of Dakka El Marrakchia, the physical beauty of the Rokba dance of Zagora, the crescendo rampage of the drum rhythms of Ahouach’s majestic troupe of Ouarzazate, will be the backdrop to ballets of the ensemble of Kelâat Mgouna, to the Rouaiss du Souss, to Hassanie melodies to the purity of the Guedra dance of the southern provinces and to the idyllic and synchronized quarter-turn demonstrations by Taskiouine, without forgetting the performances of the groups and soloists representing the regions of Central Morocco , East and North, respectively with Aabidates Rma and La Aita, Laalaoui and Arab-Andalusian. Another highlight: the conference scheduled on Friday, July 6 at the hotel El Andalous around “Afro-Mediterranean songs and music, influences and confluences” and ” Afro-Mediterranean gestures and music, from continentality to universality”.